Our INTRA EDGE intra-workout formula is based on pure Cluster Dextrin® branded highly branched cyclic dextrin carbohydrate, which is a new type of dextrin that is produced from amylopectin. 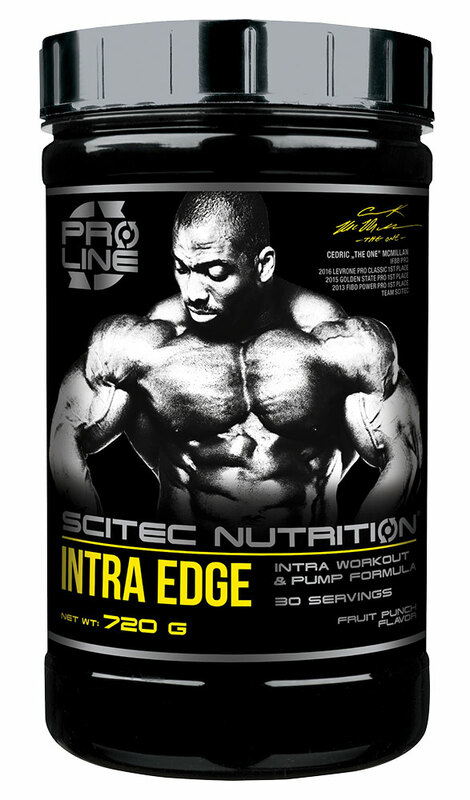 INTRA EDGE also provides ample amounts of crucial BCAA amino acids and many other vital, muscle cell volume boosting ingredients. The general increase in hydration (partly due to the inclusion of Glycerol Monostearate) and in cell volume status causes tremendous pumps and that acts as a mechanical trigger for muscle protein synthesis (growth) on top of the effect of training! The well thought out ratio of all the ingredients allows you to find the best dosage for your individual needs!